I’ve used computers since I was a little child, so I have quite the history with computers, starting with DOS/Windows 3.11, and ending currently with Ubuntu Linux, and Windows 7. As I said, my first computer ran DOS/Windows 3.11, I got used to the command line with DOS, and worked with the GUI in Windows, it was a good system, it was actually fast (It still feels faster than some modern Windows 7/Vista machines…) I still have that computer, and it works, no Y2K problem with that one 🙂 . My second computer was a Windows 95 Gateway. 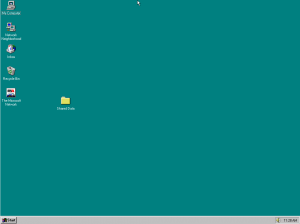 This computer is still functioning as well, so I can still try out good ol’ Windows 95. This is also a very good computer. My third computer was a Windows 98 HP Pavilion. This computer died a little while ago, Disk drive failure, this is going to be used in a project in the future :). 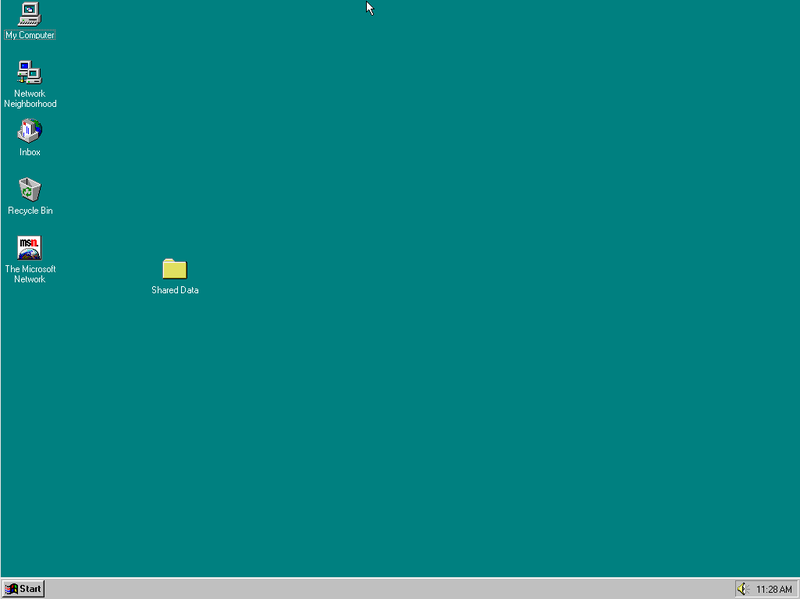 I didn’t think much of Windows 98, the computer crashed on a regular basis, and was really SLOOOOWWW… Needless to say, I wasn’t fond of this computer. This is when I started to learn how to Re-install the OS, as I did it a few times to speed this thing back up, before the drive failure. My fith computer was an old DOS compaq laptop, it stopped running a while ago due to a virus 🙁 all of it’s rescue disks were destroyed by it. My sixth computer was a Windows ME Compaq laptop. I don’t have much to say about Windows ME, except it crashed a lot. It went Blue-screen when I opened Netscape! or Windows Media Player!…. I didn’t like that one.